Hazel Grace Lancaster is a sixteen year old girl who has been diagnosed with stage four thyroid cancer since she was twelve. The cancer has since then spread to her lungs, and Hazel is constantly receiving treatment for it. Hazel’s parents encourage her to attend a cancer support group so she can still have interactions with people around her age. Although she does not enjoy it, Hazel always goes so her mother does not overly worry about her. However, Hazel eventually appreciates her mother’s efforts to help her when a fellow support group acquaintance, Isaac, brings along his friend, seventeen year old Augustus Waters. Augustus and Hazel quickly relate to each other, and they part promising to read each other’s favorite book. Augustus and Hazel slowly become closer and closer. Augustus develops feelings for Hazel, but she is scared to commit to a relationship because she fears that she might pass away or break his heart. Hazel decides that whether they are dating or not would not change their affection for each other, and they begin dating. Because Augustus has been a cancer patient, he has a choice to exercise a wish that has been granted to him. One of Hazel’s wishes is to discover the ending for her favorite book, An Imperial Affliction, as the author has ended it halfway. To make Hazel happy, Augustus decides to use his wish to take Hazel, Hazel’s mother and him to Amsterdam, where Peter Van Houten, the author of An Imperial Affliction, resides. Van Houten fails in satisfying their curiosity, and they leave disappointed. Hazel discovers that Augustus has had a cancer recurrence, and his condition steadily grows worse. Augustus and Hazel continue to try to discover what role cancer really has in their lives. 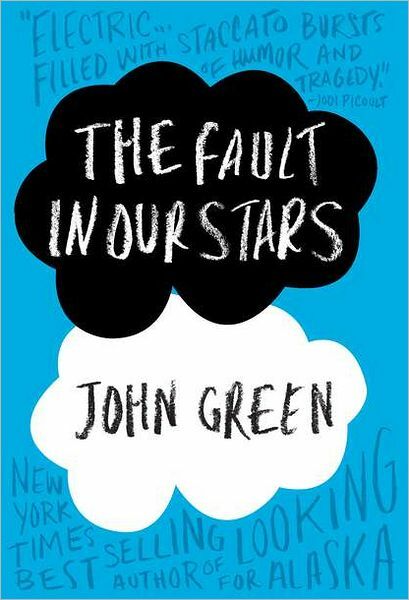 Before I read The Fault in Our Stars for the first time, I had been expecting a story that would make me break down but after I finished, I realized it was not as sad as people may exaggerate. This book has honestly made me cry, so in a way I am relieved the plot was not any more tragic. I think some prominent strengths of this book are that the author used sophisticated vocabulary and portrayed the characters’ feelings well. One of the most difficult parts of the book for me was relating to the characters, as I have never had any major injuries or illnesses such as cancer, so I can not really understand their physical pain nor mental struggle. Because this book may be harder to relate to for younger children, and it implies sexual content, I think it is best suited for teenagers aged thirteen to eighteen. All things considered, I would rate this book ten out of ten. 1. What is the name of the main character? 1a. The name of the main character is Hazel Grace Lancaster. 2. Why does Hazel attend support group even though she dislikes it? 2a. Hazel attends support group because it makes her parents happy. 3. How did Hazel meet Augustus Waters? 3a. Hazel met Augustus when he came to support group with Isaac. 4. Why did Hazel call Augustus for the first time? 4a. Hazel called Augustus for the first time because she promised she would call when she finished reading The Price of Dawn. 5. Why was Isaac crying when Hazel went to Augustus’ house? 5a. Isaac was crying because his girlfriend, Monica, did not want to break up with him because she felt bad. 6. Why did Hazel not want to be in a relationship with Augustus? 6a. Hazel did not want to be in a relationship with Augustus because she was afraid that she would die and hurt him. 7. What did Hazel do at Isaac’s house? 8. Why was walking through the airport security X-ray an achievement for Hazel? 8a. Walking through the X-ray machine was an achievement for Hazel because it has been a long time since she last walked without the help of her oxygen tank. 9. Why was the suit Augustus wore to Oranjee important? 9a. The suit that Augustus wore to Oranjee was important because it was to be his death suit. 10. Where did Lidewij take Augustus and Hazel after they left Van Houten’s house? 10a. Lidewij took Augustus and Hazel to the Anne Frank house after they left Van Houten’s house. 11. Why did Augustus and Isaac egg Monica’s car? 11a. Augustus and Isaac egged Monica’s car because Augustus felt Monica was terrible for never contacting Isaac after his operation. 12. What was a major turning point in Augustus’s sickness? 12a. A major turning point in Augustus’s sickness was when Hazel went to his house and found that he had wet his bed. 13. Why was Augustus’s dad thankful for Hazel? 13a. Augustus’s dad was thankful for Hazel because she knows how to cheer up Augustus. 14. Why did Augustus arrange a pre-funeral with Hazel and Isaac? 14a. He arranged a pre-funeral because he knew he would pass away soon and wanted to hear their eulogies. 15. Why did Hazel call her “ten” emergency a “nine”? 15a. Hazel called her emergency a “nine” because she knew an event like Augustus dying was a ten for her.